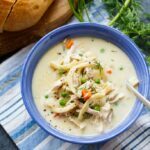 Chicken Noodle Soup has just a little bit of creaminess which makes it so much more flavorful and comforting. It will warm you right up on a cold day and it can be made in no time at all. I like for there to be plenty of meat in my chicken noodle soup. Every spoonful should have some. Next to the chicken, the egg noodles are my favorite part. Don’t put them in until right at the end and turn the heat off when they are just starting to get soft to prevent them from getting mushy. I also love peas in my Chicken Noodle Soup, but you can leave them out. This recipe calls for some fresh dill which really gives the soup a wonderful, fresh flavor. I recommend you give the dill a try, but if you’re sure you won’t like it, use parsley instead. Melt butter over medium heat in a Dutch oven or large pot. Add garlic and cook 1 minute. Season with salt. Sprinkle flour over veggies and stir and cook for 1 to 2 minutes. Gradually stir in chicken broth. Add bay leaves, Worcestershire sauce, and Tabasco. Bring to a simmer and simmer for 10 minutes, stirring occasionally. Add egg noodles and cook 5 minutes. Stir in half-and-half, chicken, and peas and continue to cook just until noodles are cooked through, about 5 more minutes. Stir in pepper and dill and serve. I love this recipe. I’ve been retired several years now. And i’ve been making it since I was a little girl old enough to stand in a chair. The only difference in mine and this receipe is fresh dill. Its worth adding. What a delightful addition to the flavor. This receipe take me a total of 20 min to make. The truck is getting everything hot all at once. The true seasoning is in the wait. As it cools it thickens and flavors begin to start. I made this. It’s incredible. So grateful to have found this recipe. 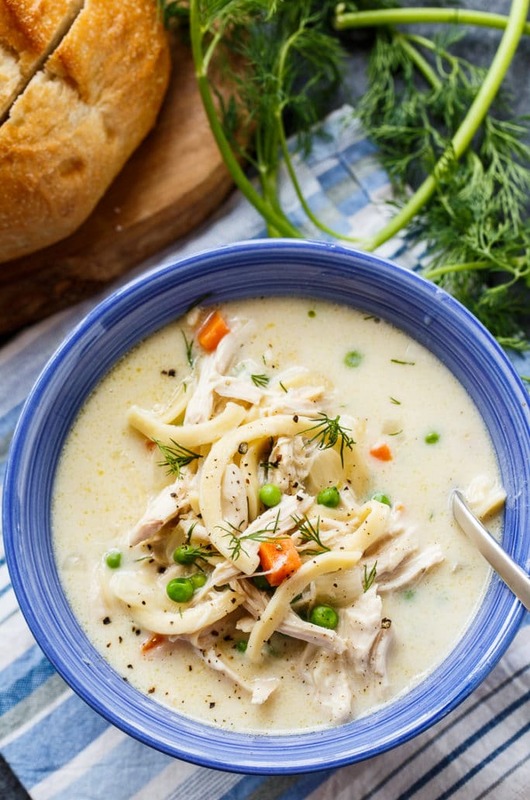 Best recipe I’ve found for chicken noodle soup. What is half and half, not clear in recipe? Half-and-Half is a product you can find in any American store. If you are in another country you won’t find it. But no worries. All it is is equal parts heavy cream and milk. Takes a little extra time, but use the carcus of the rotissere chicken to make the broth. 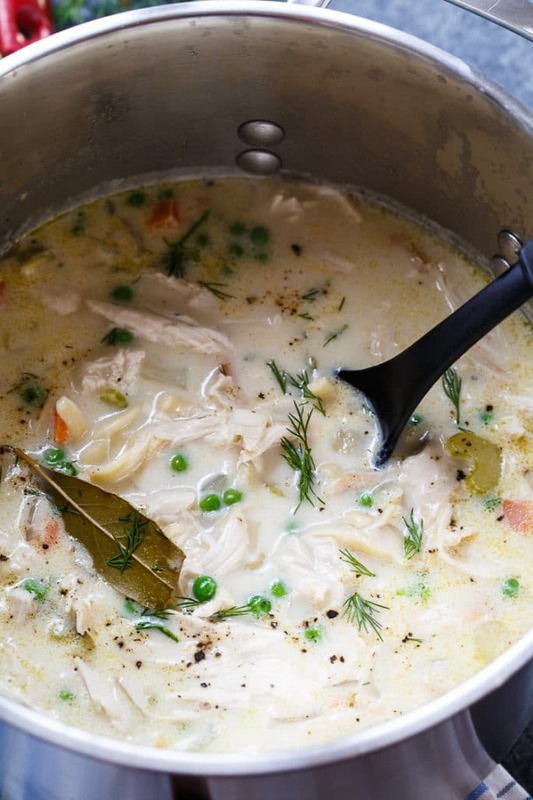 Really flavorful, and gets all the little extra pieces of chicken into your soup. I also like homemade noodles, these can be made and frozen. 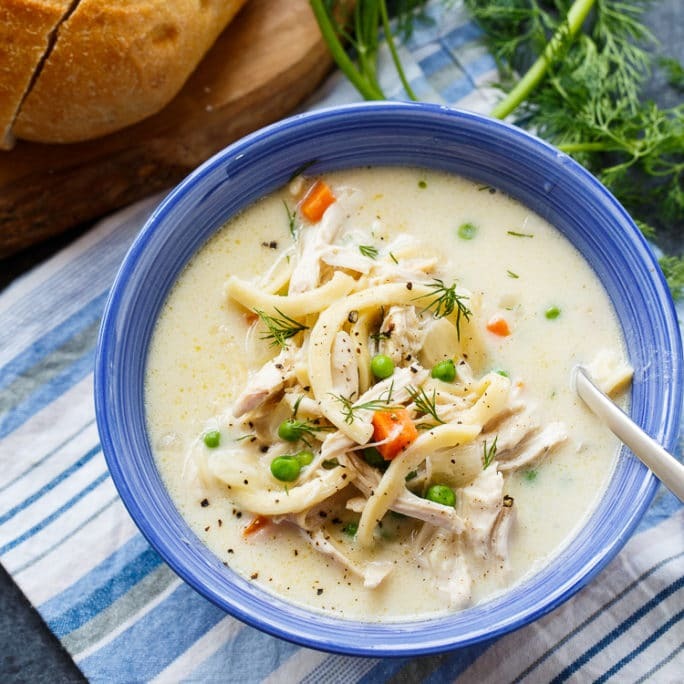 It doesn’t get much better than homemade chicken noodle soup! Perfect for these chilly winter evenings! Very yummy…! 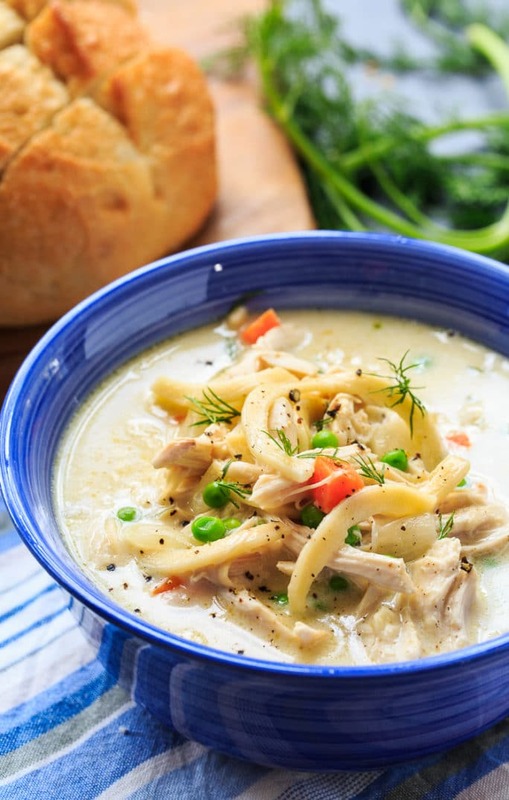 !1 delicious chicken noodle soup.. kids will to have it with stomach full…!!!!! This looks so comforting! I love the addition of the fresh dill! That sounds like a perfect touch! Mmm you can never go wrong with a classic like this! 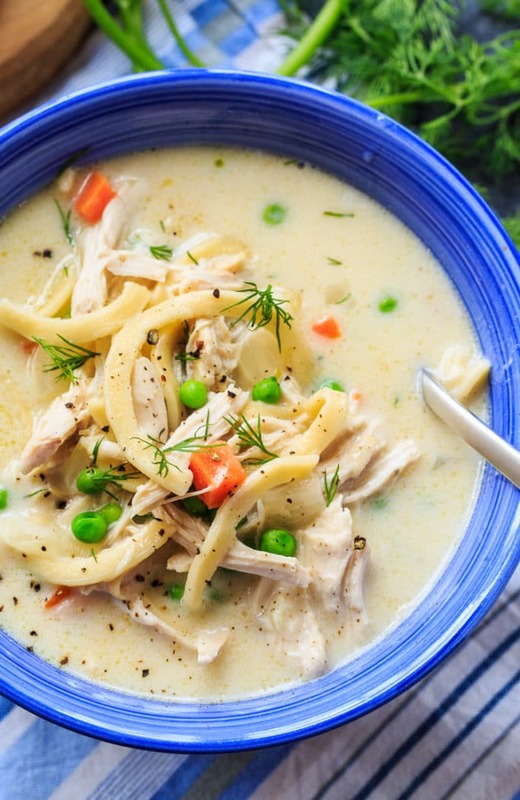 Chicken noodle soup is the ultimate comfort food. I would love to have a big bowl of this right now!